Apparently there is a growing movement of keeping skunks as pets. 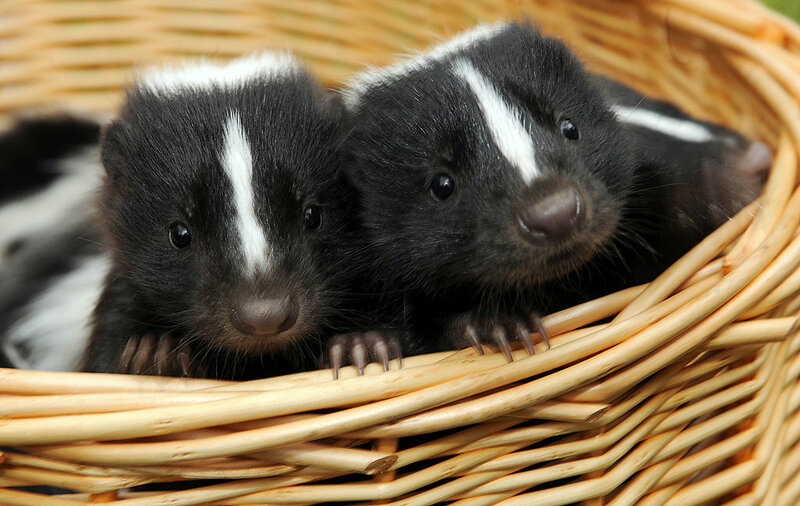 In the United States, owning a skunk varies from jurisdiction to jurisdiction. In Kansas, it is illegal which is pretty par for the coarse in Kansas because we can't ever have any fun here. In Ohio, having a pet skunk is legal provided that you have the a permit. I would've let Hattie have a pet skunk. They seem like decent pets and look how cute they are.